Creighton Manning Engineering is pleased to announce the opening of a new office at 145 Main Street in Ossining, Westchester County, NY. Creighton Manning is growing! 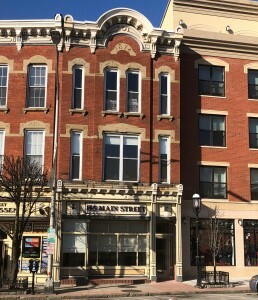 We recently opened an office in a beautiful, historic building at 145 Main Street in Ossining, NY. Conveniently located near the Metro-North train station and in a pedestrian-friendly downtown, the office provides comprehensive engineering, surveying and construction inspection services to our clients in the Lower Hudson Valley. We’re excited to join the historic Downtown Ossining Business District.